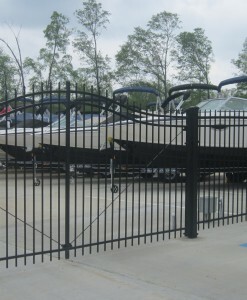 Powder coated Steel ornamental fence is a stronger more durable solution to aluminum in areas where high traffic or strength is an issue. 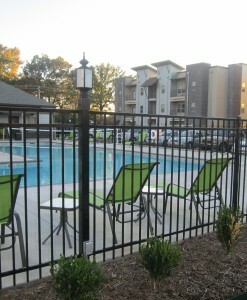 Ornamental steel panels are in 8’ widths and are bracketed to rugged steel posts allowing for easy and clean installation. There are no unsightly rivets or screws as pickets are attached to rails within the rails affording a seamless and curb-appeal design. 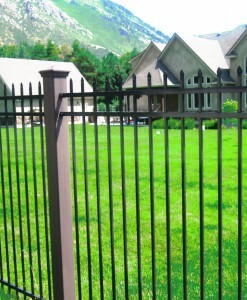 Ornamental steel panels rack up hills to follow grade lines and provide years of safe, strong perimeter systems.